0131P00010 Indoor fan motor 265V for Amana Package Terminal Air Conditioner models PTH074E**AXXX, PTH094E**AXXX, PTH124E**AXXX. 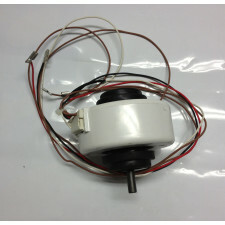 This direct replacement fan motor is designed for quiet operation. NOTE: Image for advertising purposes only. Actual part may vary from display image.